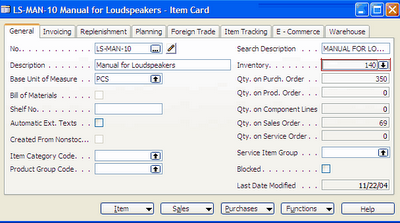 2) It is shown in the Inventory field in Item Card. 3) The quantity shown in the inventory field is the total quantity available in the inventory irrespective of the location. 3)Projected availability can also be viewed by Variant and Period. Please note that Item Availability by Location is the Item that will be available on certain date. It is not the actual quantity on hand.